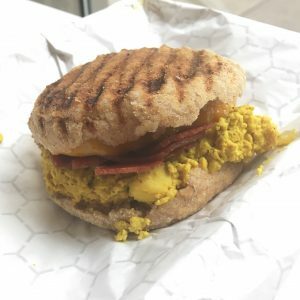 Terri is near Madison Square park and the Flat Iron building and does vegan fast food from salads, wraps and sandwiches to smoothies, shakes and sweet treats. We went for breakfast because we really wanted to try their breakfast muffins. 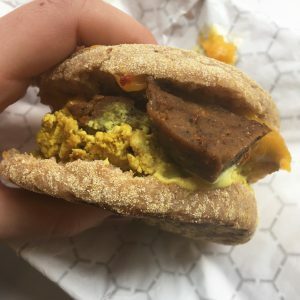 We had a sausage, cheese and scrambled tofu muffin and a bacon, cheese and scrambled tofu muffin. All their ingredients are 100% vegan so you don’t need to worry about accidentally ordering something that’s not vegan. The cheese was the most melty vegan cheese I’ve ever had so I was really impressed. 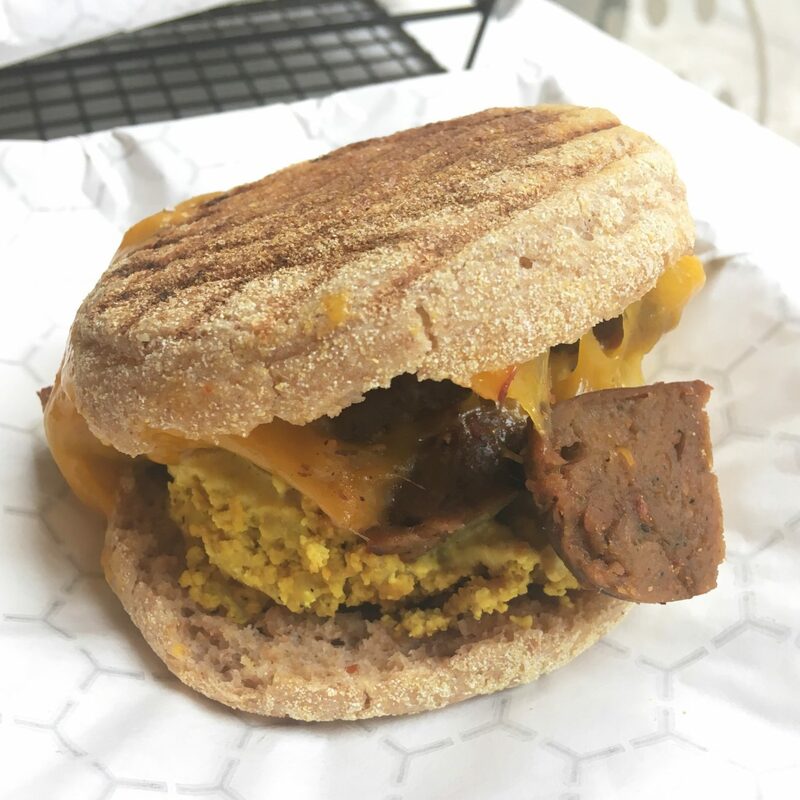 The sausage was quite seasoned and although it doesn’t look like sausage texture from the photo, it went really well in the muffin. I was also impressed with the scrambled tofu. I’ve tried to make it before and it turned out nothing like this. It was a great consistency and was well seasoned and flavoured. I tried a bit of the ‘bacon’ too which was good. It really set us up for our day of lots of walking and was quite filling. Sometimes you can eat something filling and after you feel gross but I felt great after and it must have been down to the good ingredients. If you’re looking for more vegan food in NYC take a look at my Cinnamon Snail review. This looks very tasty!! A good substantial bun.